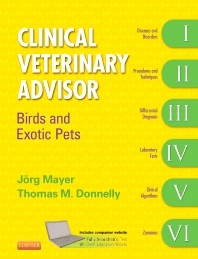 "This book provides a useful resource with information that is easy to access rapidly and provides the clinican with a working therapeutic plan to recognise and investigate exotic animal cases...The book is laid out, with an index that makes it easy to manoeuvre through the appropriate sections...In summary, this book would make a good addition to the bookshelf of small animal practices that see exotics. Information can be easily accessed for consultations and phone calls. For practices seeing exotics on a regular basis, this book is a useful addition to other texts can provide some additional titbits on many topics."